As kids in a preschool center get older, they learn to recognize, understand, express, and deal with a wide range of feelings, ranging from dependency and love to anger, disappointment, and fear. While a lot of parents put more emphasis on physical development and academic attainment within their youngsters’ early years, supporting your children’s emotional development is actually just as crucial and should not be overlooked. How your preschoolers develop emotionally helps shape the person that they will become in the future and strongly affects their everyday behavior. 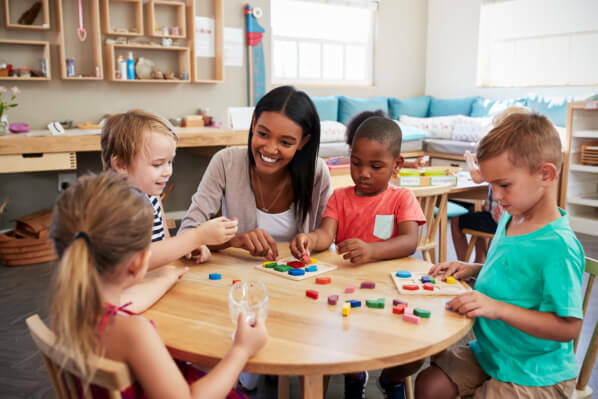 In fact, we have observed, through our child-care programs and after-school programs in Liberty Hill, TX, that kids’ emotional development plays a large role in helping them forge relationships with other people. Their ability to manage their emotions also affects how they see and feel about themselves. These, in turn, contribute to helping them develop a strong sense of self-esteem and self-identity, both of which are essential for later life. As an excellent child care provider in Liberty Hill, Texas, we, therefore, recommend that parents support not only the physical and cognitive development of their young ones but also the latter’s emotional development. You don’t have to worry because there are actually several ways you can do so. For instance, leading by example (i.e., modeling positive behaviors) and providing your little ones with support and encouragement during times of stress are just a few of the many things that you can do. If you want to know more about how you can properly teach your children to process and deal with their emotions, a visit to Hilltop Children’s Center just might help. Be sure to get in touch. This entry was posted in Emotional Development and tagged Child Care, Early Childhood, Physical Development. Bookmark the permalink.